Most recipes online say that chickpea tofu is not good stir-fried or sautéed like soy tofu, but I have not found this to be the case. 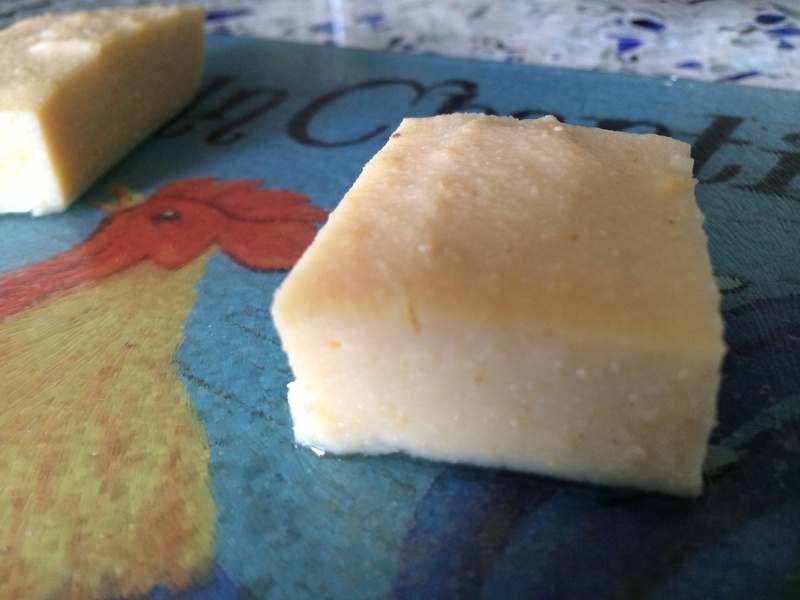 It does have a different texture than soy tofu, sort of like a cross between soy tofu and polenta, but so far, for me, it has worked well in every recipe I have used it in. I have not tried grilling it yet, but don’t see why that wouldn’t be great as well. 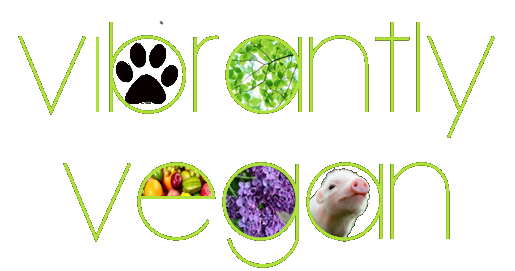 So – here is the recipe, followed by my two favorite ways to prepare it. I hope you enjoy it as much as I do! Lightly grease a 9×13” pan. Combine chickpea flour, 2 cups of water, salt and turmeric in a large bowl. Whisk until smooth. In a large pan, bring 3 3/4 c of water to a boil. Once boiling, decrease heat to medium high. Give the chickpea mix another stir in case it has separated a bit, and then, while stirring the water with a wooden spoon, slowly add it to the simmering water. (The wooden spoon is important because it will start to splatter without it so be careful.) Decrease heat again to medium low and cook about 5 minutes, stirring occasionally. Pour into prepared pan. Cool to room temperature (if you don’t cool it to room temp first, it won’t get very firm) and then place in fridge for at least one hour. The longer it sits in the fridge, the more water will come out, making it firmer. Will keep in fridge for 5-7 days. 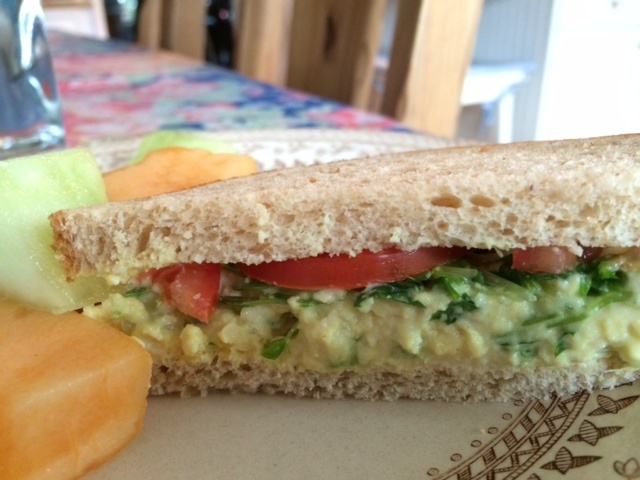 Chickpea tofu is perfect for mock egg salad. The texture is so close to what I remember egg salad being and I actually prefer it to soy tofu in this dish. Just cut pieces of the tofu from the dish – however much you would like to use, and mash with a fork until it’s the consistency of egg salad. Don’t make it too smooth – there should be some larger pieces. Next, add whatever ingredients you like. You can’t go wrong. I like to add a bit of vegannaise, chopped onion, chopped celery, 1/8 t turmeric, salt and pepper for the basic dish. But you can get creative and add capers, pickles, olives, baco bits, sun dried tomatoes (maybe not all together)… You will be astounded how much like egg salad it is! My second favorite way to enjoy chickpea tofu is sautéed in a 3 ingredient sauce. How easy is that? And there is no oil in this recipe at all! The recipe is for one serving – so make sure to adjust it depending on how many people you would like to serve. 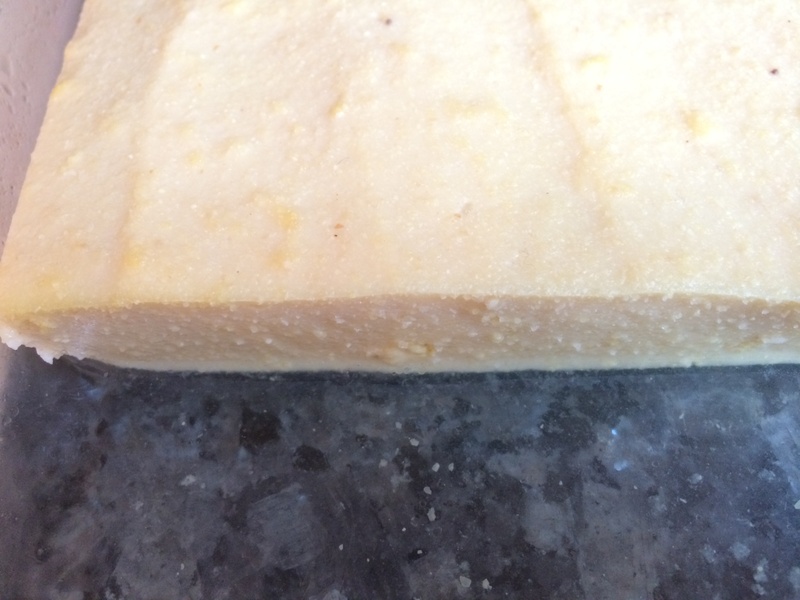 Cut a piece of tofu from the pan that measures approximately 1.5″ x 3″. 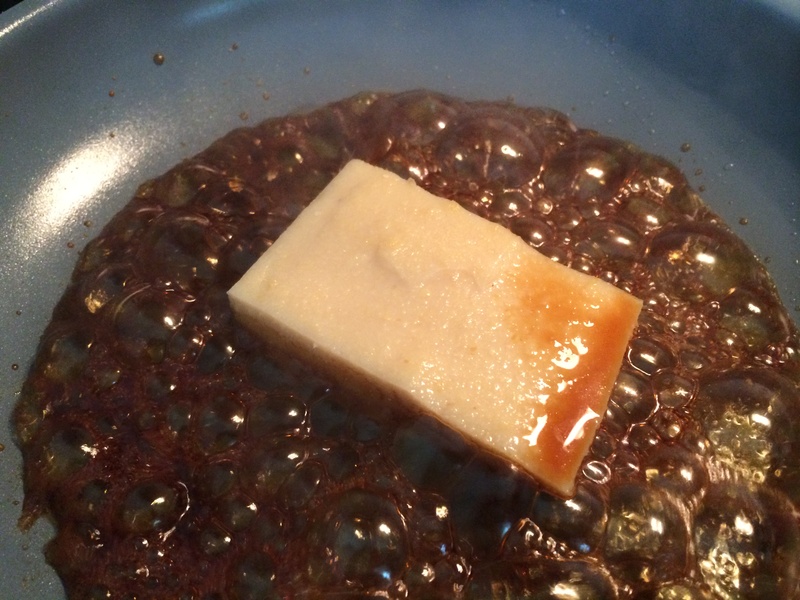 In a small bowl, combine 1 T soy sauce, 1 T maple syrup and 1/8 t garlic powder. Heat a pan over medium high heat. Add the tofu and you should hear it sizzle. 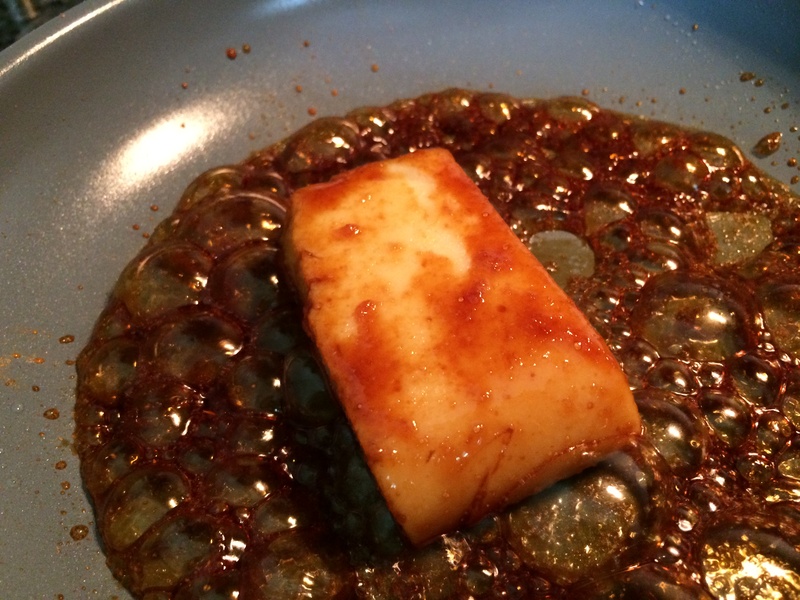 After 1 minute, pour the sauce in the pan with the tofu. 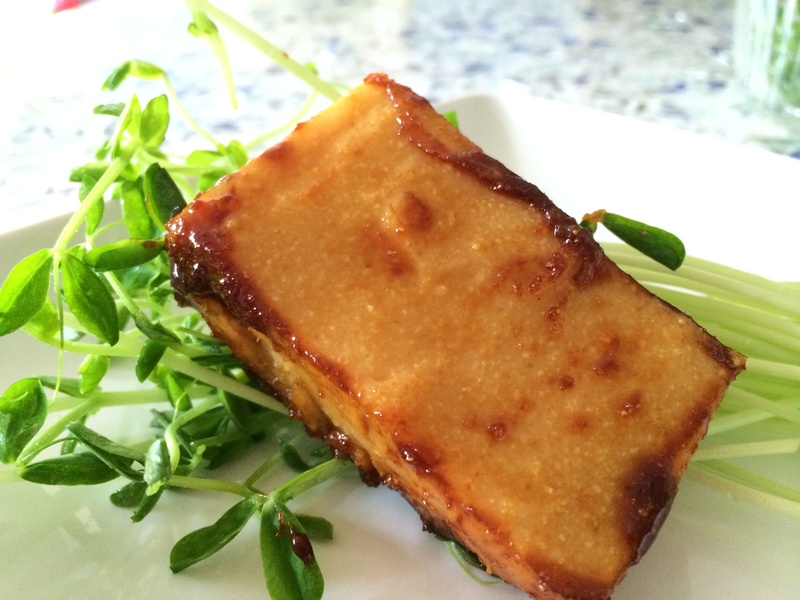 Let cook for 1 minute, then flip the tofu over and cook for 2-3 minutes on the other side, just to heat through. The sauce will be very bubbly and will begin to evaporate. Make sure that it doesn’t burn. If it starts to burn, or evaporates to almost nothing, just lower the heat.